“The African way? Looking after traces in the jungle of Westernized strategies of prevention and treatment”. This is the title of the opening talk I have to deliver coming Friday in Hamburg for the 3rd Hamburg Strategic Forum on HIV. And it is a tough one for me, then except me the participants are all connected to the medical field, be it as doctors, researchers or in the pharmaceutical field. What do they expect from me as a priest? O Lord, such a challenge can make one nervous, makes me nervous. On the other hand I love to be challenged and I am looking forward to meet new people and learn new information about the pandemic and the challenges in Germany. So I am still contemplating and fine tuning the talk while there is enough time to do so. Thursday the plane will bring me via Istanbul to Hamburg for the two days of the gathering. I am awaiting this Forum with quite some anticipation and hope, the traces of African ways, I have found and tracked down in the last days might help to understand the African situation and further the cooperation between Germany and South Africa. The gathering also includes a discussion about church, politics and the health systems in certain countries – I find it remarkable and exciting to include those questions and to make clear, that turning around the tide of HIV and AIDS requires all quarters of society – it is much more than a medical problem. Today reflection of a different sort: I am presenting to my Rotary Club of Signal Hill a Powerpoint presentation highlighting the history and success of HOPE Cape Town. In 2001, Signal Hill was part of the launch and I remember well the ladies of the Rotary Club preparing the sandwiches and cool drinks after the official act. For those present in those days in 2001 it was good to hear how the project developed and what has been achieved in the last years. Even if Rotary is sometimes very complicated in their way of donating and supporting in form of a matching grant there is no doubt that a lot of good comes out of the spirit of Rotary and all the activities of thousands of clubs around the world. I am glad to be part of such a great movement. Also good news from Trier today. The book of Dr. Nebe of the University of Trier about Africa is in the final stages. I was glad to be able to contribute one chapter on HIV and AIDS in Africa. I personally like such contributions as they challenge me also to work in an academic way again. Otherwise the day was a day of preparation for my next trip to Germany. 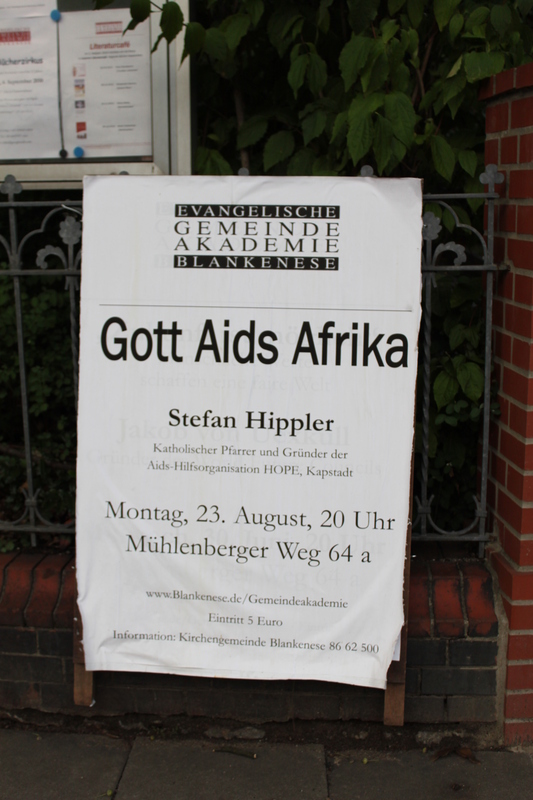 The Lutheran Community in Hamburg Blankenese and St. Gerold in the “Walzertal” in Austria will be two locations, where I will be able to talk about the work, HOPE Cape Town is doing. I am looking forward to meet people interested in our work and to exchange ideas and gain new ones as I always do when I engage with people through question and answers after such talks. 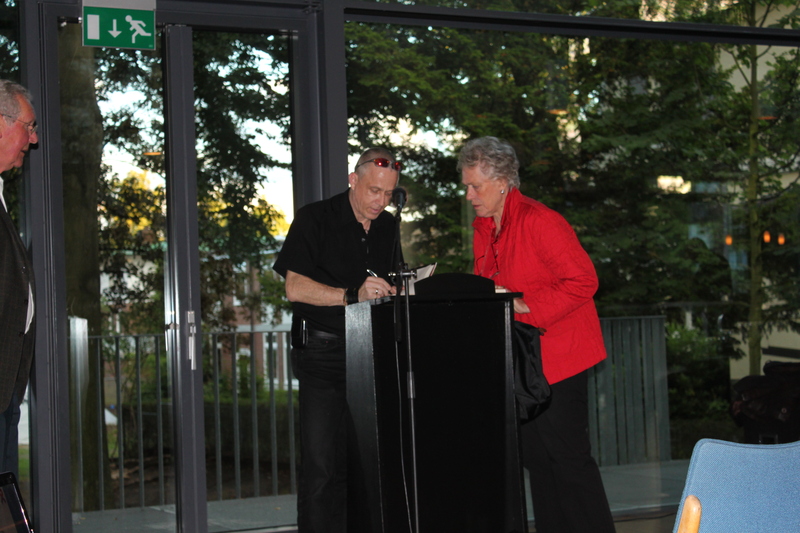 I am specially thrilled to participate – even only shortly- at the “Bundespositivenkonferenz 2010” in Bielefeld, the federal conference of people living with HIV in Germany and to contribute to a podiums discussions on the way, HIV is seen in the media and in the public eye.